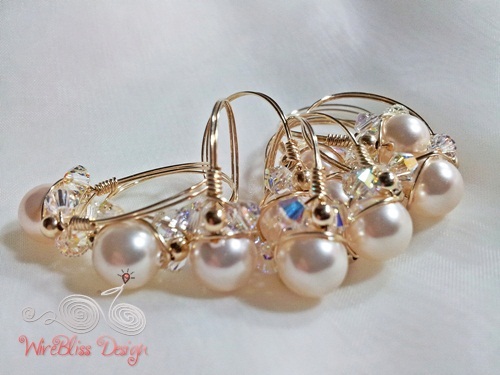 If I have the choice, I would always go for the real/original/natural pearls. 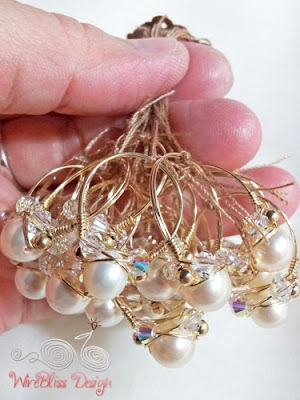 However, I am beginning to like the Swarovski pearls. There are few colors to choose from but I am sure this creamy colored ones would be more popular than the other colored ones....this is based on my experience with natural colored pearls. How about you? Which one do you prefer? The first two pictures below are Sparkly Wire Wrap Rings made of Swarovski pearls. This bunch below are a mixture of Swarovski pearls and natural pearls. Can you tell the difference between them in terms of color? If you would like to learn how to make this type of ring, check out my Sparkly Crystal Ring Tutorial at Etsy. 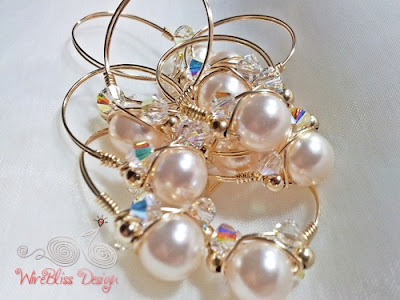 Hey Mei...gorgeous rings...I like the Swarovski pearls myself...but like you I think I prefer the real pearls. I can't tell the difference in the photos but I hope I could if I held them in my hand? What fun, I am unable to tell the difference between a real pearl and the Swarovski crystal pearl. 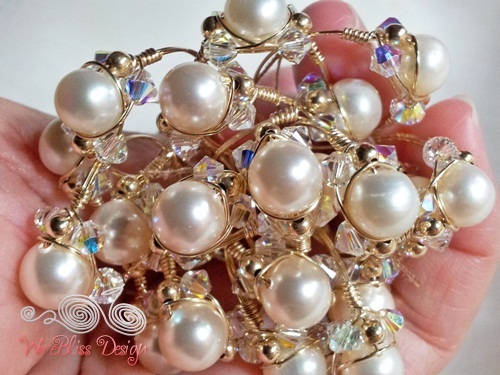 I adore the Swarovski pearls and so many colors to choose from when I am creating. Love your ring, quiet elegant!